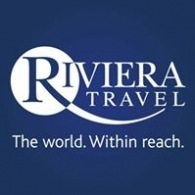 Average rating of 0.0 for all Riviera Travel trips. Guided tour of Granada’s stunning Alhambra, one of Europe’s most sensual and romantic palace and fortresses. Visit to Cordoba, with guided tour of the Mezquita probably the most beautiful Mosque ever constructed. Sightseeing Tour of St Petersburg, Peter the Great’s Imperial city with its myriad of canals and lavish architecture. Highlights include, The Hermitage, The Peter and Paul fortress with its striking Cathedral, The extraordinary Church of the Holy Blood, Palace Square, and River Neva to name a few!